Nottingham parks and known throughout the country for their beauty. Residents will no doubt be familiar with the Forest recreational ground and the Arboretum. How many of us have taken the time to enjoy them and discover the local history therein? A few weeks ago, my family and I decided that we would walk from home to the city centre for an ice cream. Out route included two of Nottingham’s parks – the Forest recreation ground and the Arboretum. It was encouraging to see that both parks were being enjoyed. Dog walkers were strolling and even swordplay was being practised! I am fascinated by history, particularly the Victorian era and I was delighted with what I found on our journey. The Forest recreational ground is is steeped in history. 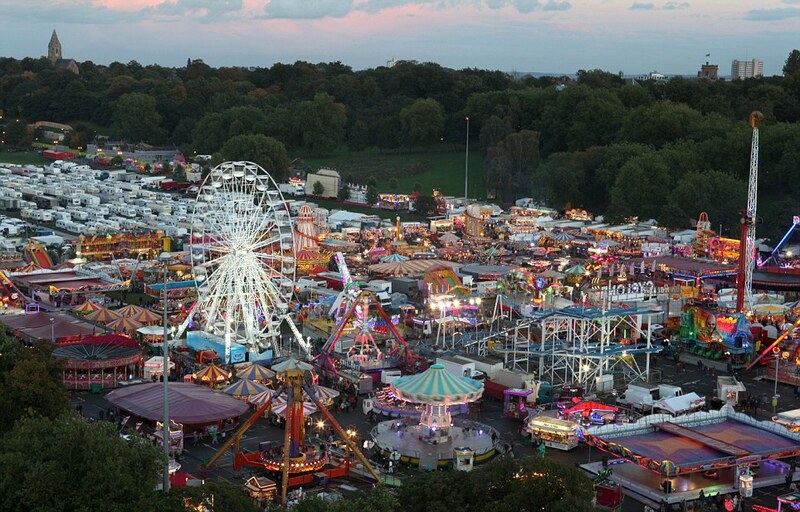 It is well known for playing host to the annual Goose Fair which takes place every October. Indeed it’s name relates to Medieval England when it was then part of Sherwood Forest. Over the years the site has been used for many sporting activities – including horse racing, cricket and football. It was home to Nottingham Racecourse by 1773. It remained there until it moved to its current location at the end of the 19th century. Nottingham Forest Football Club first played their games on the Forest after their formation in 1865, hence the club’s name. One of the park’s marvels is the Lodge. Built in 1857, it was originally used as a Police or Keepers Lodge. In fact, a police cell can still be seen underneath the Lodge. 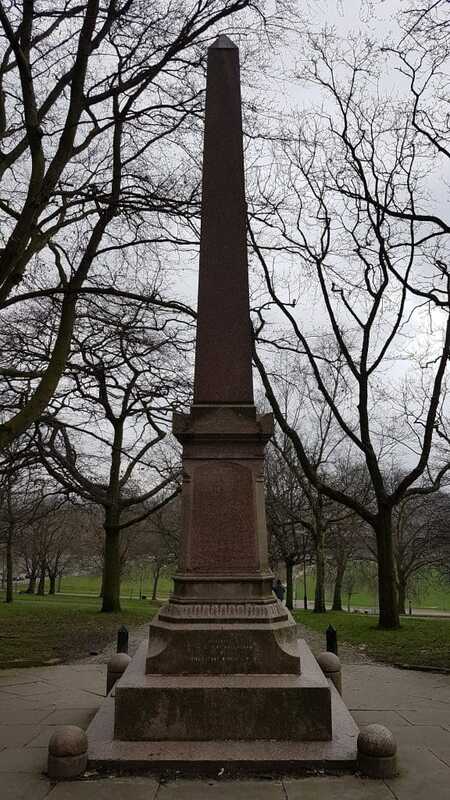 As we walked up the hill towards Waverley Street, we were greeted by The Monument. Made of red granite, it is positioned near Monument Gate on Forest Road East. 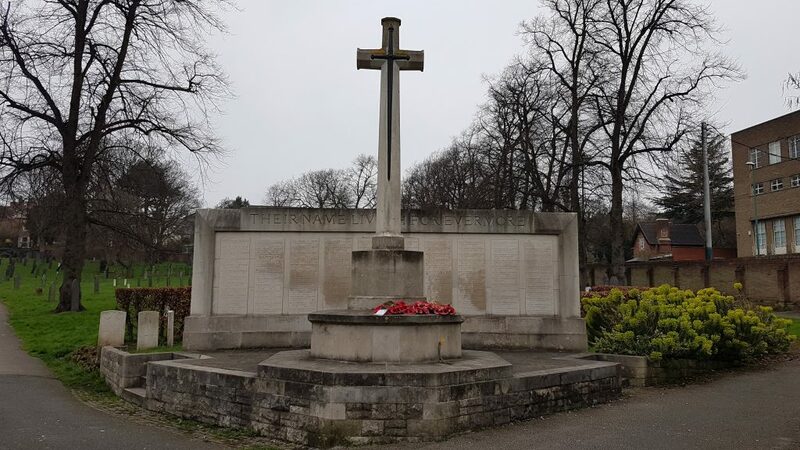 It was moved from King Street in 1927 to its current site and stands in memory of the Royal Sherwood Foresters, Imperial Yeomanry and Robin Hood Rifles men who fell in the Boer war in the 1890’s. It is such a beautiful memorial and as we read the names of those who fell, I began to wonder just how many people even know that it exists, let alone stop to enjoy it or pay their respects. The Arboretum was the first public park opened in Nottingham. 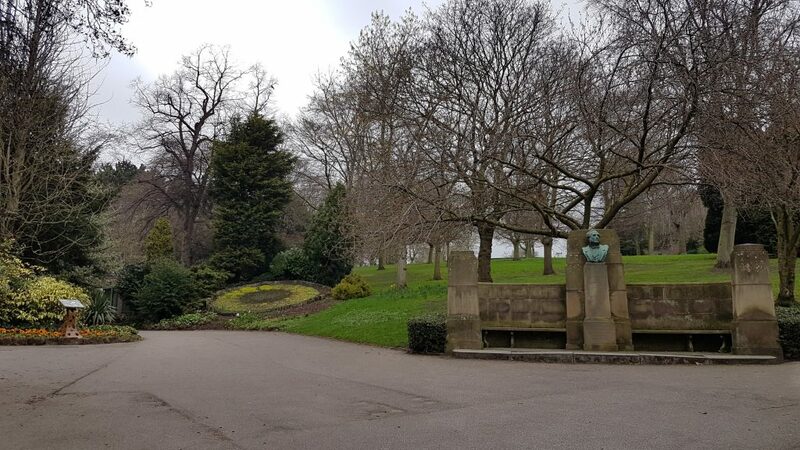 It was created following the Nottingham Enclosure Act of 1845 – a visionary project to create a green network around the growing city, to provide green spaces for relaxation, contemplation, learning, exercise and clean air. The layout and design was carried out under the supervision of Samuel Curtis, a botanist and horticultural publicist in 1850 who had previously been involved with the layout of Victoria Park in the East End of London in 1842. The park a key asset to Nottingham’s Victorian heritage. 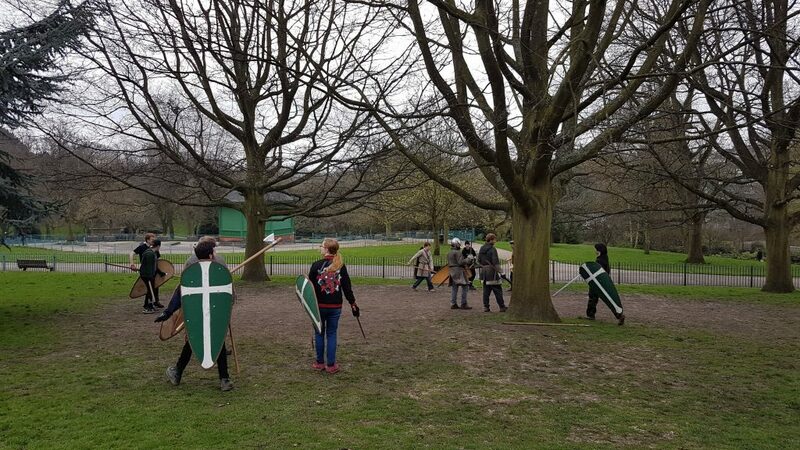 As we wondered through the park we were greeted by a group of people practising swordplay – extremely fitting for Nottingham’s medieval history. As the noise of swords clashing with shields dulled we then met a group of people practising the art of Tai Chi. I remember beaming from ear to ear – much as I am now as I recall seeing the contrast between these two ancient pastimes. An advocate of temperance, Samuel Morley, was a philanthropist and educationalist who was elected as an MP for Nottingham in 1865. His philanthropic ventures included the founding of Morley College which has taught over 11,000 adults since its inception in the 1880’s. Member of Parliament; Merchant; Philanthropist; Friend of Children; Social Reformer; Christian Citizen. This tremendous accolade left me wanting to find out more about his role within Nottingham’s Victorian history. Morley’s family established the firm, I. and R. Morley Limited, hosiers of Nottingham (1710-1895). Incidentally, my family name, Hose, is directly connected to the City’s hosiery trade. 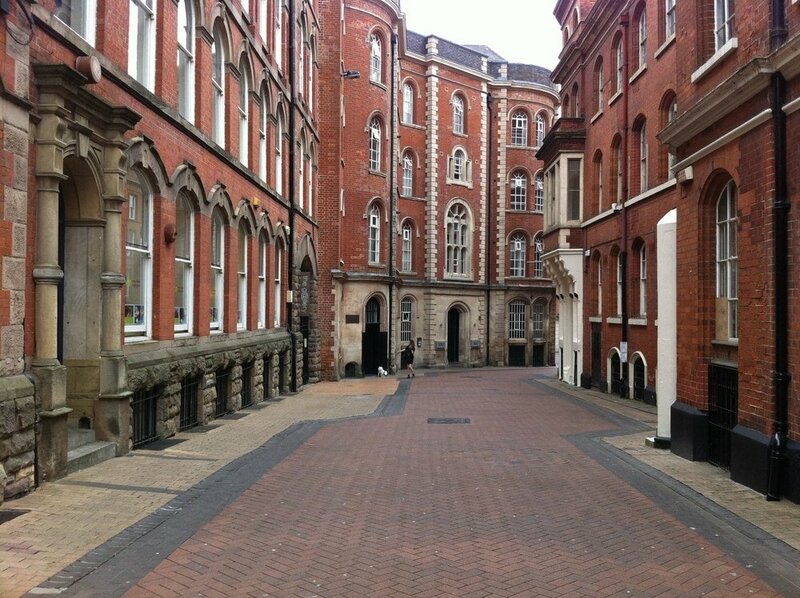 The Company played a significant role in Nottingham’s lace industry which of course was predominantly located within the Lace Market. Morley also help to build the Congregational Memorial Hall in London and supported William Booth in his work to establish the Salvation Army. For those of us who enjoy a beer, you may be amused to know that the Hop Merchant on Upper Parliament Street was formerly called the Samuel Morley. However as I have previously stated, Morley was known for championing the abstinence of drinking alcohol! The English sense of humour prevailed for several years until a group of disgruntled locals objected and in 1996 the name reverted to the traditional Turf Tavern. The General Cemetery is one of Nottingham ’s historic cemeteries. It dates from the 1830s and it is estimated that over 150,000 people are buried within the cemetery. There is an area for military burials situated by the Waverley Street entrance to the general Cemetery. It was originally laid out for the burial of veterans of the Crimean War and the Indian Mutiny, and during World War 1 it was used to bury war dead. By 1917 the designated area for military burials was almost full. The numbers of war dead in Nottingham was high and the General Cemetery was often used for military burials as it was close to a number of military hospitals set up during the War. At that time a decision was taken to bury 129 men together under a large, white limestone screen built on a raised plinth on which their names are carved. A memorial to Nottinghamshire men who fought at the Charge of the Light Brigade during the Crimean War was unveiled in 2004. 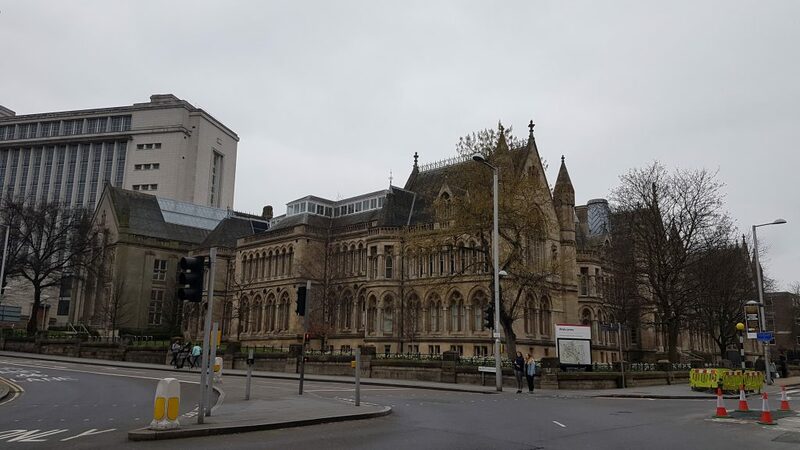 Nottingham Trent University (NTU) is a modern, forward thinking institution that has made the city centre it’s home. The architecture is Edwardian, Victorian and contemporary. I thoroughly enjoy walking along Shakespeare Street and Chaucer Street. The atmosphere is fresh and energetic. This fascinating and eye opening journey of discovery was born from our desire to enjoy a walk through the city in which we life and enjoy an ice cream together. We had a wonderful afternoon. Do you take time to enjoy this beautiful city or as is the case with many of us, do you sit on the tram, face down in your phone and miss the marvels that lay within Nottingham? I had double chocolate and coconut!